Is Your Company Ready to Lift and Shift to Cloud Computing? Your Cloud Shift can either take off like a carefully engineered NASA launch vehicle – or it can flounder its way around like a homemade bottle rocket. What separates you from one option or the other is good assessment and preparation prior to diving in. Download the cloud migration eBook, "Cloud Readiness: Preparing to Lift and Shift Your Applications to the Cloud" to assist you with your migration journey right now! Learn the 5 steps of any cloud migration process, from Lift and Shift to Lift and Evolve. Understand the potential landmines you want to avoid in migration. Gain confidence in, and strengthen, your Cloud Shift planning. Avoid surprises and gain insight around mission critical applications. Understand how qualitative benefits like agility-to-market will want to make you shift sooner, rather than later (and, make you feel smarter that you did!). Learn how your existing staff can be both your largest asset, and your biggest roadblock. Understand how organizational change management can make or break your Cloud Shift migration. Whether you’re just preparing to Lift and Shift applications to the cloud, you have a fully thought-out road map, or you are seeking out cloud migration services, your management and implementation of a Cloud Shift will be vastly improved with this tool in your cloud migration toolbox. 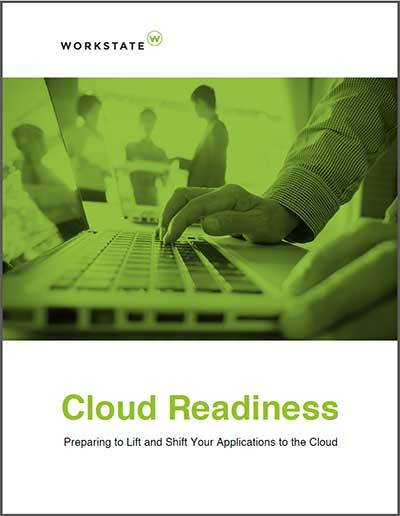 Let "Cloud Readiness: Preparing to Lift and Shift Your Applications to the Cloud" be your guide.